Gone fishin’ – our little fishing expedition may have hooked a big one. It’s conjecture at this point, but there’s no denying we’ve got a nibble. It has to do with the public records request sent to BSO last week. The legal department got back to us today, but still couldn’t provide an answer as to whether or not Lynn Feig-Rosenthal’s property receipt from county jail will be released. It turns out the jail property inventory form may contain information that’s exempt from disclosure. They’ve consulted with the Attorney’s General’s Office for guidance, and will be conducting further research to see if all items can be released, or if redactions may be necessary to keep certain things confidential. BSO promised an answer by the close of business Wednesday. Swing and a miss! – Peter Weinstein took a turn at bat today for the home town heroes. He issued a widely covered statement Monday, a full six days after the third Broward judge was arrested for DUI. It turns out the 17th Circuit is a-ok, although the wisdom of sustaining yet another opportunity so late in the game to rehash credibility-busting judicial mishaps is being questioned by more than a few pundits. But hey, you can’t knock a guy for trying. Check out the Sun Sentinel’s coverage here, featuring the heading Trust Us, complete with a nifty montage of three judges’ mugs. Shows how out of touch and corrupt Broward Court System is. I challenge Ron Ishoy, spokesman for the Broward State Attorney’s to produce any other court district in country where 3 judges were arrested in such short period of time. Ron Isloy is a LIAR and this statement shows that Browaard County State Attorney is will to look the other way about JUDGES committing crimes. I won’t even get into Laura Watson’s JQC problems. I know juror going to serve PLANNING OF TELLING BROWARD ASA’s and Judge’s that they will not take part in a 100% COMPLETELY CORRUPT BROWARD COUNTY SYSTEM. ASA’s like Roy Isloy boldface lying sure does not help his Fantasy land world he is in. 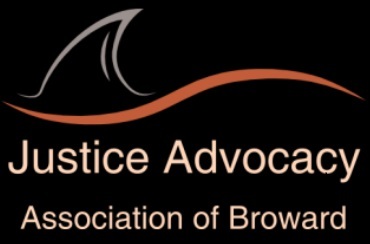 Thank GOD Broward Tax Groups plan to seek audits of Broward AS Office and Judges Office. I feel a audit will uncover even more corruption at Broward Courthouse!!!!!!!!!!!!!!!!!!!!!!!!!!!!!! I hear IRS TIGTA is looking at Broward Courthouse for PUBLIC CORRUPT CASES! Is that Greenwald in the video? Who advised this chick to come to Criminal? Comments at Sentinel about Peter article are funny. I have a great idea! Why don’t you ask your buddy Finkelstein to release his mugshot from his arrest? Why does he keep blocking us from seeing his arrest photo? Wouldn’t that help other young lawyers in his office to see his blasted-out-of-his-mind expression so that they could avoid the same mistakes? And how about his property receipt from his arrest? What else did Finkelstein have with him when he was arrested? Doesn’t he have a moral obligation to disclose that information? People who live in glass houses shouldn’t do press interviews Mr. Hypocrite. Was Finkelstein a Constitutional Officer when he crashed and burned it? In the world uninhabited by prosecutors/judges what’s good for the goose is never good for the gander. At least it is not Broward. The actions of a few damage the reputations of many hard working judges however there have been too many serious ethical problems. It is interesting how three of the five circuit court judges formerly employed by the United States Attorney’s Office have had ethical problems. One judge forgot about being sued by people under his/her supervision when the judicial application was submitted to the governor. Law suit settled by Justice Department. Another judge would have been terminated, he \she tried to get co-workers to go hard on a lawyer representing family member in a divorce. Had the lawyer signed the document the Assistant U.S. Attorney would have been fired on the spot, instead he/she is now a judge. Judge Rosenthal was intoxicated. Wonder what would have happened to the first few defendants on her calendar. Talk about Judicial temperament. Then there is Ana Gardner, are you kidding me! She is romantically involved with two lawyers who were appearing before her on the same case. Years ago it was Larry, now he was an intellectual powerhouse of ability, can we have a little more crying on the bench while presiding! Rules of evidence, not in that courtroom. The only thing that will improve the judicial bench are term limits. Judges are not accountable at the polls, they need to be removed because they go through life being unaccountable, what is J.Rosenthal’s new name? Why did she change her name after 25 years of using Rosenthal. The behavior is so disappointing, The Florida Bar needs to remove renegade jurists, remove them from the bench, remove them from the Bar. There are many more nightmares on the bench, they need to be exposed and removed. Is it Canet or Silber? What’s she hiding? Just another broward judge with major problems. The cover-up is always worse than the crime. Plenty of examples sitting on the bench in Broward County. Take a number and get in line.